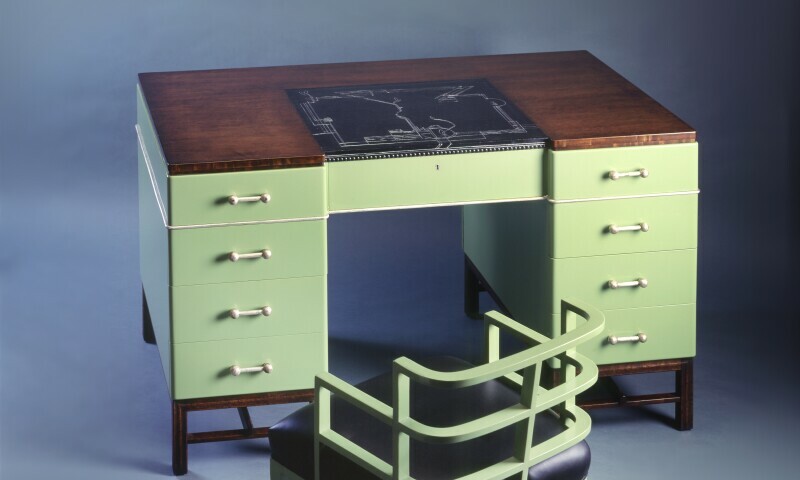 Kem Weber, Desk and chair, 1929. Wood, paint, leather. "Art Deco" has come to evoke a set of styles that emerged in the 1920s and 1930s out of aspirations to fuse art and industry into a modern language of design. From exquisite handcrafted objects to streamlined household appliances, the items on display in Deco will demonstrate how American designers adapted a style associated with European luxury to the demands of industrial mass production. Through decorative arts, product design, architecture, and graphics from the Wolfsonian collection, the exhibition will trace Art Deco’s origins in Europe, its migration to the United States, and its evolution into a fully American style—perhaps most spectacularly realized on Miami Beach in the 1930s.